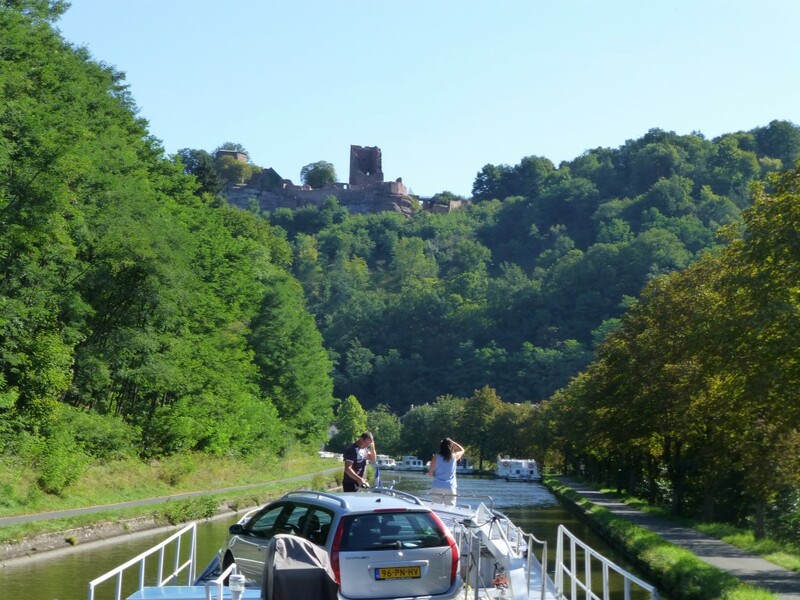 From the Arzviller lock we entered a beautiful steep walled canyon that engulfed us in an alpine environment. Even the houses look different. 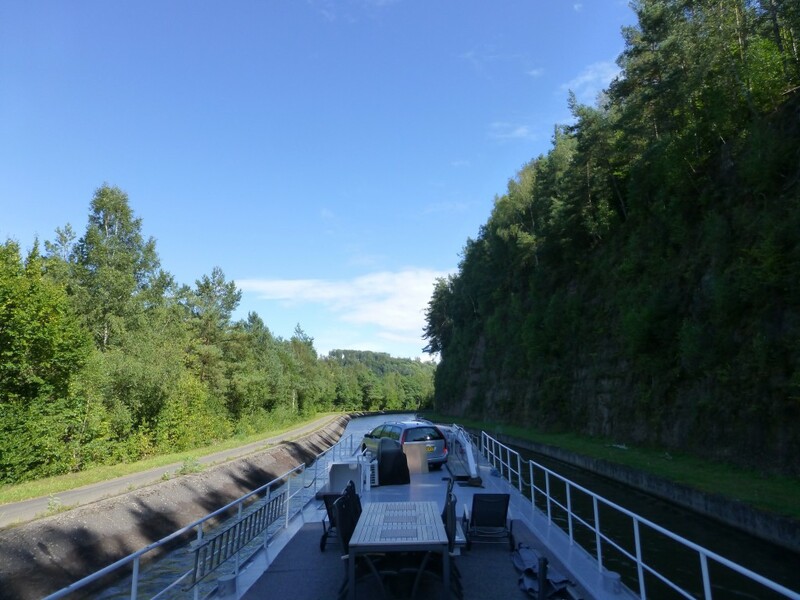 The canal was incredibly twisty following the floor of the canyon as it meandered towards our final destination of Strasbourg. 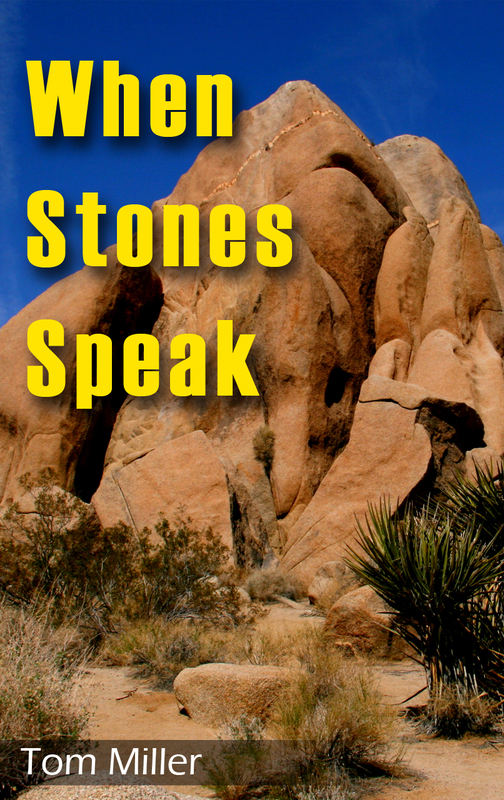 Some of the turns were almost impossible to negotiate without coming to a complete stop. On one of the ridges was an impressive ruin. The young girl operating the lock said there was a road to it, but she did not know what it was. We will definitely stop there on our way back. 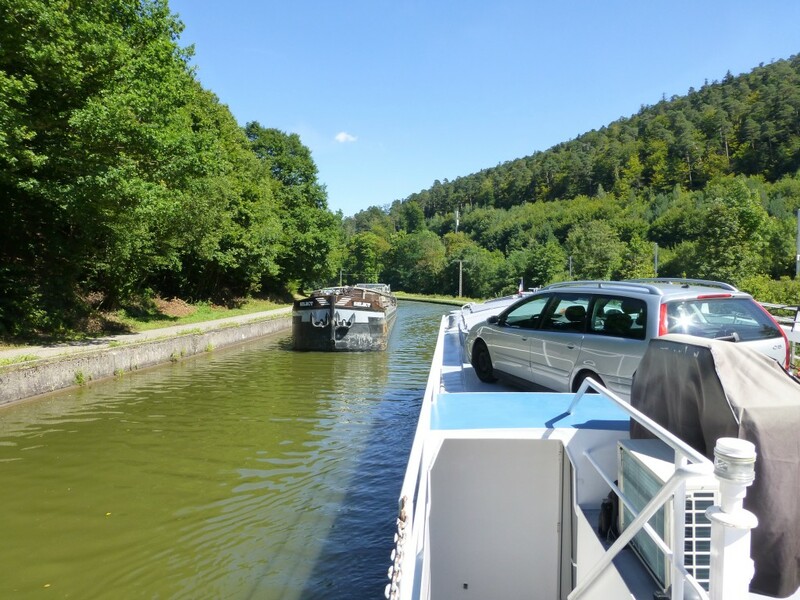 Our new friends Jan and Diana Meiser who own the beautiful hotel barge La Novelle Etoile warned us about lock 29. 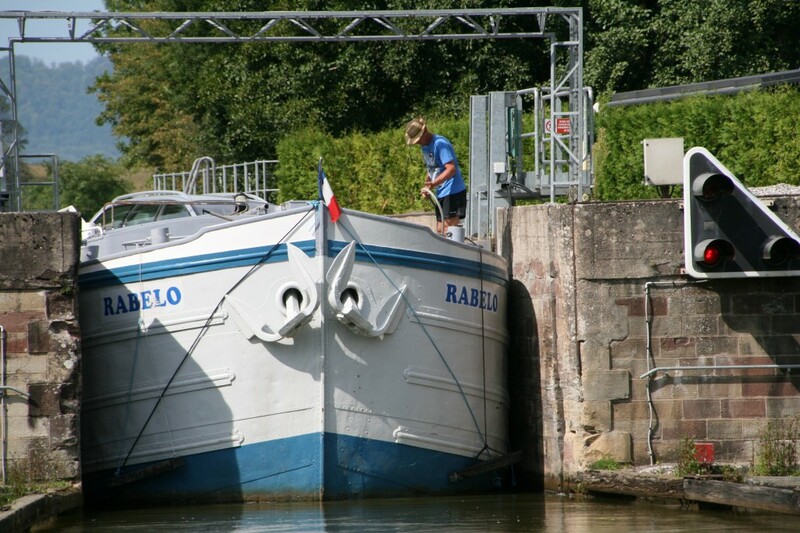 Their boat is 5.08 meters wide and Rabelo is 5.09 meters. They got stuck in the lock, so needless to say we were a little nervous. It was tight, but we made it. Either they are not 5.08 meters or we are not 5.09. 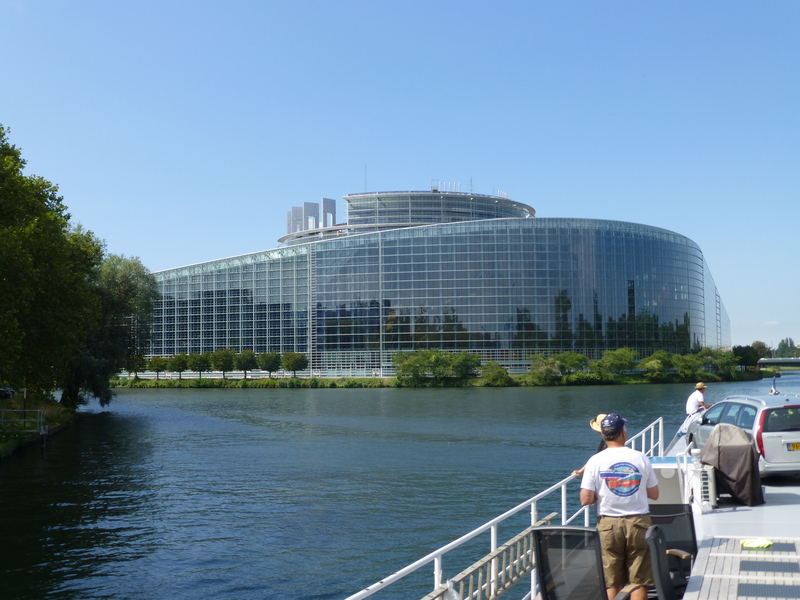 Cruising into Strasbourg we past the European Parliament with its impressive glass buildings nestled up against the canal. We moored at Koe Jac Marina where we definitely hit the big time. It cost us 50 euro a night. Fortunately 70% to 80% of the places where we tie up are free so I suppose we can afford it. To get to the city center form the marina we had to walk five or six blocks to pick up the tram. Lisa didn’t think the neighborhood was very nice. I’m not sure what her problem was. I thought he working girls that lined the road we took to the tram were very nice. 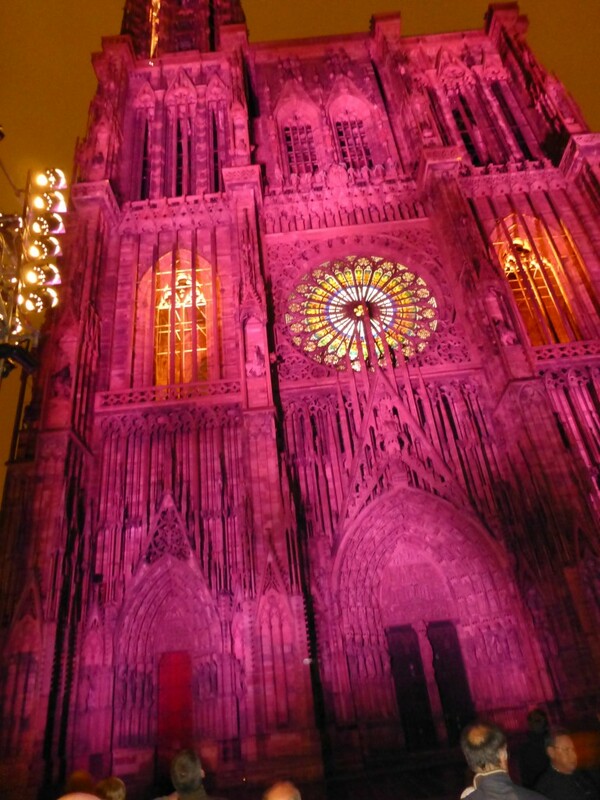 Strasbourg’s cathedral was one of the more impressive ones we have ever seen. The light show was not as good as the one in Nancy, but we preferred the music they played. As a retired contractor I can’t help but look at these amazing edifices and wonder how man hours they took to construct. It must have been millions. 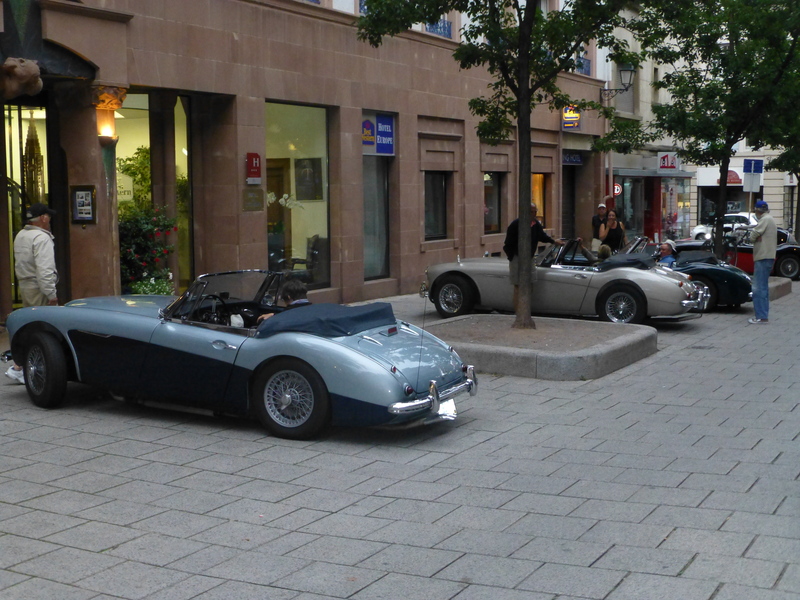 We picked up our friends Ralph and Penny at the train station in Strasbourg. While walking around the city center we bumped into a group of Americans from Boston. 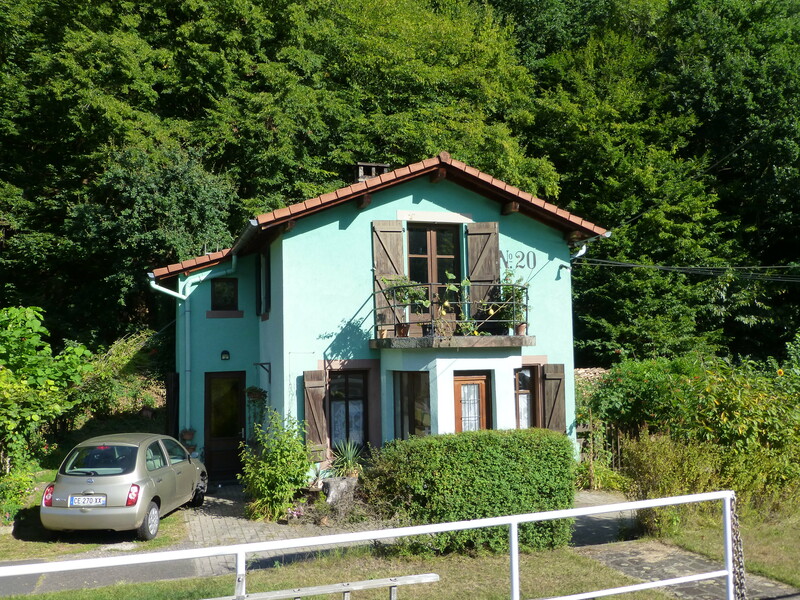 They had shipped their Austin Healy’s to Bruges, Belgium and were driving them to Como, Italy. That night we went out to dinner. 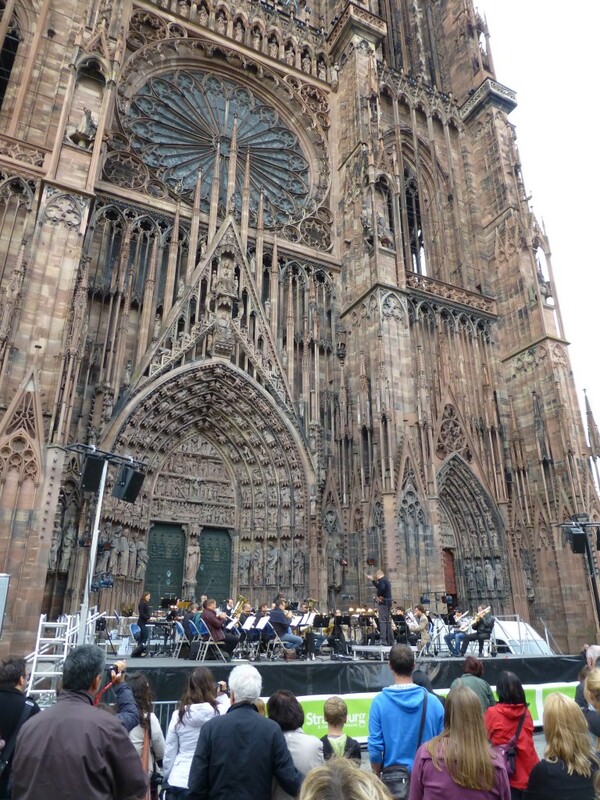 We sat outside and not only enjoyed the meal and people watching, but also the free concert that was preformed in front of the cathedral. It was very special. This Is How Cruising Ought To Be… Right?